Welcome to language-easy.org! 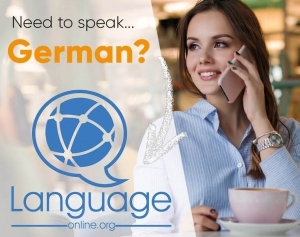 Well, as you have clicked on this article, I suppose that you want to know everything about a basic element in German grammar – The German genitive. Of course, most of you have heard of this case, as it also exists in the English language. However, the construction of the forms of German genitive is completely different to the English one. Well, although this German case might be a little bit complicated, you have to be conscious that it is of crucial importance to express possession and other things. In the following, I’d like to give you a short description of the German genitive and also talk about its correct usage. 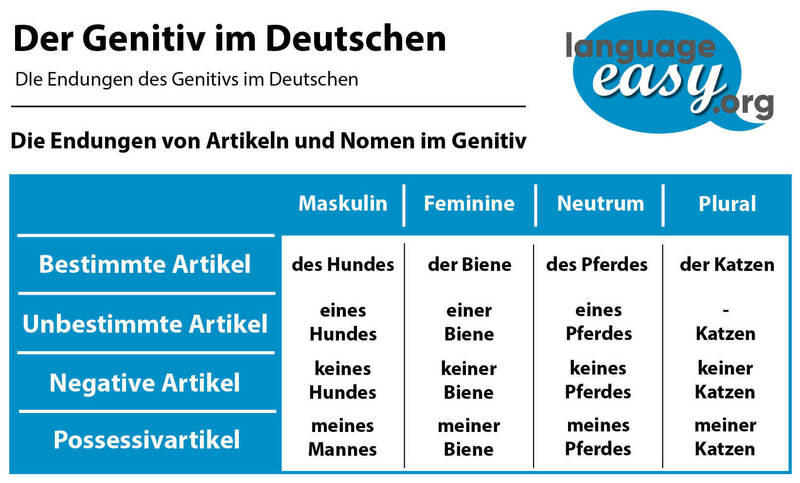 Furthermore, it is important to mention the special declension of pronouns in the German genitive. And now, let’s not lose too much time and come to the first part of this article and talk about what the German genitive case actually is. Auf geht’s! Now, we come to the first topic of this article about the German genitive. So, I’d like to give you a short description of the German genitive. Please, try to keep this description in mind – it is always useful to know what we are actually talking about. The German genitive case indicates possession. Whereas in the English language you use an “-‘s” or the preposition “of” to show position, in German you add “-es” or “-er” to dependent possessive pronouns. Well, in German we use the genitive after certain prepositions, verbs and adjectives. Furthermore, we can use the question “wessen” (whose) to find the German genitive case. Unfortunately, asking this question to find the German genitive does not make too much sense to English speakers. So, I’d like to show you some more ways to recognize the German genitive. First, the German genitive, as already mentioned, indicated possession. Second, it also comes with certain propositions, like “wegen”, “trotz” and “anstelle”. And third, the German genitive occurs after certain verbs as a genitive object. So, after clearing up the basics about the German genitive, let’s come to the next point of this article and talk about the declension of pronouns in the German genitive. Now, we come to another important topic in the context of the German genitive, the declension of pronouns in this grammatical case. Well, keep in mind that we only use dependent possessive pronouns in the genitive case. Furthermore, you should always remind that personal pronouns and independent possessive pronouns cannot be put into the German genitive. So, in the following table I’d like to give you an overview about the mentioned dependent possessive pronouns and their genitive endings. Of course, you can observe clearly the endings “-es” and “-er”, as already mentioned in the short description of the German genitive above.